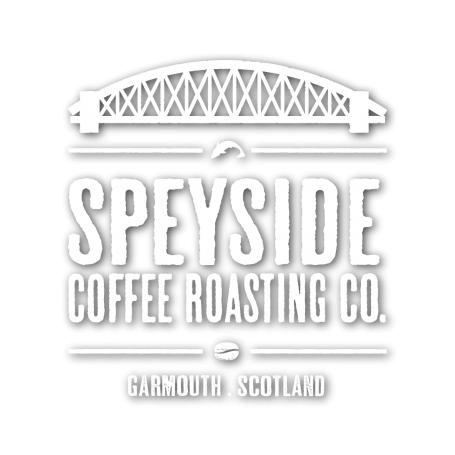 In March 2017 Grant & Jody Spence launched the Speyside Coffee Roasting Co. A small batch Coffee Roastery based at the Hotel in the Speyside village of Garmouth in Moray. Currently we roast twice a week, using the 5 kg Golden Coffee Roaster which was built and imported from Turkey. Artisan Software is used to profile roasting and maintain consistency but all the roasting is done manually. Once roasted, the beans rest for up to one week to allow the gases to escape, making them better to work with and ultimately providing the best cup of coffee. Only one type of Coffee is available at any time. At present the Specialty Green Beans are from Fazenda Ouro Verde (Green Gold Farm) in Brazil. The beans are Rain Forest Alliance Certified and have a SCAA cup score of 83.25. The beans are not over roasted and are light in comparison to what most people are used to. The medium roast helps bring out the Citrus notes as well as flavours of Milk Chocolate, Hazlenut, and Caramel. So far, the response has been very impressive and we are receiving a lot of fantastic feedback. It certainly is exciting times and there are quite a few projects in the pipeline. We are loving our journey into the world of coffee… we hope you are too. 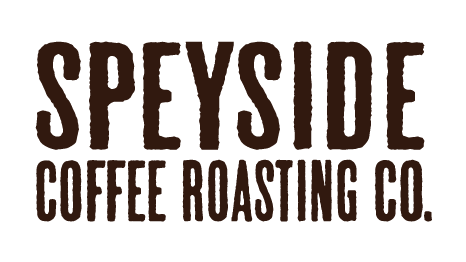 If you have a local café or business and are interested in using our coffee, please contact us, we would love to hear from you. You can visit the Roastery and see where it all happens. We are closed on Mondays but open every other day serving our Coffee, Hot Chocolate and a range of Teas. A selection of Scones, Traybakes and Cakes are available and are all made on the premises using free range eggs. Gluten and Dairy Free options are also available. Home-Made Soup and Freshly Prepared Sandwiches are available from 11.30am to 2.30pm. 250g bags of our Coffee are available to buy for £4.95 from the Roastery, as whole beans or ground depending on your individual requirements. We are also in the process of introducing a range of local produce and awesome branded merchandise.